Sugarfree Candies? Think Twice First Before Eating. Would You Still Eat Sugarfree Candies? 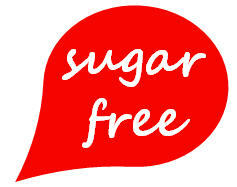 Reaching out for sugarfree candies and gums? Think twice. More and more health-conscious and diabetic people are satisfying their cravings for sweetness by seeking out foods containing sugar substitutes such as sorbitol, xylitol, aspartame, and without realising their link with serious health implications. "Sugar-free", "low calorie", "low-carb" and "diabetic-safe" are some common food claims on beverages, candies, yoghurt, cookies and chocolates that are used to lure these consumers. Researchers warn that these artificial sweeteners can cause dangerous toxic reactions in the human body, and that the consumption of these chemical food additives during pregnancy and by children is one of the greatest modern tragedies. End of "Would You Still Eat Sugarfree Candies? Back to "Use Natural Sweetener Honey for Healthy Immunity System".